The 7th Grade Division of the DMV Takeover had some great moments and gave us a first time champion. Here’s Part 2 of our Top Performers in this class. While critics say he isn’t quick enough Ali continues to drop numbers and help Team Final collect victories. This weekend he let 6th Man Warriors, MD Playmakers and B’More Finest feel his wrath. He averaged double figures from the field with a collection of 3 points and midrange pull ups. This kid cannot be defined by position he’s just a flat out player. Team Final has developed more toughness this season and Temple is one of the reasons. The forward scored 16 points against 6th Man Warriors and B’More Finest. He’s quietly putting together a good season. We only expect him to get better and be considered for some post season all-star selections. Tay is the engine to his 6th Man team. He can do pretty much anything on the court both on the offensive and defensive end. He can be the primary ball handler and playmaker for his team as needed but he is at his best when his role is that of the primary scorer. 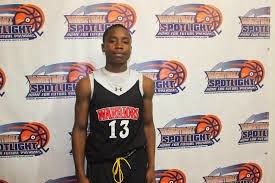 He loves to attack the rim either in transition or in the half court and he is hard to stop due to his strength and underestimated ball handling. Allen also can knock down the long 3 pointer and he gets to the line at a high rate. On the defensive end he can guard 1-4 and is a willing rebounder. When Tay’s motor is turned up and he is playing with passion he is very hard to stop. When you talk about athletes you might just see a picture of Elijah beside the definition in the dictionary. Although a bit undersized his size, strength, and athleticism makes up for that. Hicks has developed nicely on the basketball court and is 6th Man’s leading rebounder. When the shot goes up nine times out of ten Hicks is going to get the rebound. He gets many of his points from offensive rebound put backs but has developed some nice finishing moves around the basket. Many times at the end of the game you will see Elijah in the box score as the leading scorer for his squad. The Hokies made their Spotlight debut in the Blue Division but Hairston’s play still earned ink. The scoring machine went to work all weekend. He has scoring touch from all three levels (3 point range, mid-range and inside). He averaged close to 25 points per game while finishing with 28 markers in their semifinal win over Team Takeover (Orange). 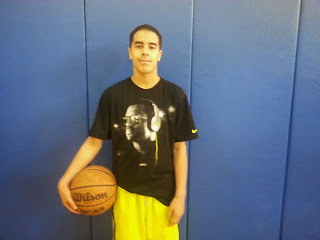 In the finals he ran out of bullets against a tough Philly Triple Threat but he made Basketball Spotlight take notice. Willis primarily plays off the ball and is one of the primary scorers for his team. He accomplishes this by being in attack mode 100% of the time in the half court offense and through the transition game while also getting to the charity stripe more than his fair share. In time of need he can handle the primary ball handling duties. He is very hardnosed and a relentless competitor. There are not many players that have a motor like him. He had good size, strength and speed so he is a hard guard for smaller defenders. Thomas has to be one of the top prospects out of the Baltimore area. He is very long and athletic and runs the floor like a gazelle. He has a nice mid to long range shot and he can put it on the floor and attack from the wing. Will can post up and make the turnaround jump shot or he can face you up and hit the jumper with range out to the three point line. Jermere is a solid forward that is very strong and he uses his strength as a mismatch against smaller defenders. 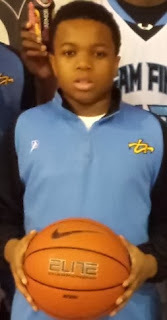 He is a player that can play multiple positions for his Baltimore Elite team. If he needs to play more a traditional power forward position he can bang in the paint and rebound and then he has the ability to push the ball down the court himself or he can play one of the perimeter spots and attack the rim off the bounce. With his size and athleticism he has the ability to guard 3-4 positions on the floor.